HomeBlogCan Parsis donate organs or the body after death? There is an intensive and ongoing campaign, using high profile stars like Aishwarya Rai, asking people to donate their eyes (cornea) after death. Various associations even send volunteers from house to house asking people to sign up forms which declare their intention to donate their eyes post death. Due to the high incidence of lifestyle diseases there is a long waiting list for people who need various organ transplants, like liver, kidney or even hearts. Also, due to the unavailability of cadavers (whole human bodies) for teaching medical students the art of surgery as well as for research, many institutions are requesting people to donate their entire bodies after death for medical research. Many Parsis believe that there is nothing wrong in donating various body parts such as the eyes (cornea), kidneys or liver either during life or after death. They consider such a donation as a great act of charity gaining much merit for them. Several Parsis use the argument that our religion always believes in charity and even the act of putting the body in the Dokhma for the vultures is an act of charity. As such, what is the difference between feeding the body to the vulture and giving the organs to some needy person? In addition to the levels of religious ignorance being extremely high in our community, there is also an amazing lethargy to find out anything about the religion. Parsis will think of something and then arrive at a decision based on their imperfect (or sometimes complete absence) of understanding of our religion. We are also easily swayed by advertising campaigns or the words of other people who may be high up on the ‘social’ ladder. Yet they will not ask their own High Priests or learned scholars about these facts. So does the Zarathushtrian religion allow donation of body parts? The answer is an ABSOLUTE NO. Why? Please read further. Firstly, one can give away something only if it belongs to oneself. The 70-80 year old life of a human is not to be viewed in isolation. It is a minuscule part of a very long journey undertaken by the Ruvan (more correctly Urvan), ‘soul’ to reach a state of perfection and unite with its maker Ahura Mazda. As part of this journey, the Ruvan is given various helpers and aids to enable it to complete its mission in the fastest possible time. The main aid is the Fravashi or Guiding Force which stays with it at all times and tries to guide the Ruvan on to the right path. The other important aid is the Baodangh or Divine Wisdom which keeps on growing as the Ruvan progresses. As part of its mission, the Ruvan passes through our Earth for a limited time. For this mission, the Ruvan is given a ultra-physical core (known as Keherp) as well as a physical body (known as Tanu). These two aids comprise the physical body as we see it. After a specific time, and as part of the Ruvan’s ongoing progress, the physical body loses its ability to regenerate itself. This is known as death (rather the correct term is passing away, since it shows the continuality of the process). As the Ruvan moves out from its physical shell to begin its further onward journey, it is necessary that the aids given to it in this lifetime (namely the physical body and the ultra physical body) should be returned to their maker. How is this done? The prayers of the Geh Sarna ritual do the work of cutting the link between the Ruvan and the physical body. The first three day’s Sarosh ceremonies succeed in securing the safety of the Ruvan from the evil spirits which may attempt to kidnap it in a vulnerable state. The placing of the physical body in the Dokhma and its eating by the vultures and subsequent excretion through the vulture’s digestive system breaks up the physical body to its basic parts (Anasers). The ceremony of Daham Yazad on the dawn of the fourth day and the Sun’s rays then lift these basic parts and pass them on to Ahura Mazda ( not directly but this is a highly simplified version). The specific Talesam of the Dokhma, which was created by the performance of the Tana ceremony during its construction secures the release of the ultra-physical parts. Finally, the Pad Ruz ceremony (called Uthamna) on the dawn of the fourth day lifts the Ruvan and sends it on its onward journey to Chinvat and beyond. You will now realize the folly of giving away any organ or donating the body by a Parsi. Such an act would cause IRREPARABLE harm to the Ruvan of the deceased. It will halt the onward progress of the Ruvan in a very retrograde manner, and put a spoke in the wheels of the ongoing march to Frashokereiti. It is beyond the power of any words to describe the spiritual harm this act can cause. Kindly avoid taking this step out of misplaced sense of charity. Like I said, one can only give away that which belongs to us. Clearly from the above, it is seen that nothing in our body belongs to us. So we cannot “donate” anything. It would be more akin to stealing. Secondly, we need to understand that our misplaced act of “charity” may actually be putting a spoke in Nature’s work. Parsis believe in the concept of action-reaction. The present state of a person is totally due to his/her past deeds. While a blind person certainly does require our help and understanding, we cannot play the part of God and try and restore his vision. That prerogative belongs only to God. We can definitely help him in other ways, such as improving his economic standing or getting a good job for him. Thirdly, the parts given to us by God are for our own use. Could you understand the implications of a person misusing the eyesight given by your “gift” of a cornea? Would not some part of the evil committed by using that organ also flow back to its original owner? We cannot totally absolve our self of that responsibility. And even though the donation may happen after our death, the ill effects would have to be borne by the Ruvan, thereby halting its own progress. Finally, some Parsis believe that the existing conditions at Dungerwadi and the absence of vultures has resulted in the failure of the Dokhmenashini system. They therefore feel that is is better to go for some other method of disposal such as donating the body to medical research. While it is absolutely true that the absence of vultures has somewhat damaged the system of Dokhmenashini, from the above discussion we can now realise that the Dokhmas are not only for the disposal of the dead body. They are also the engines which will fuel the onward journey of the soul. Even though the vultures may not be present, the primary agent – the Sun is still available in abundance. also the Talesam of the Dokhmas (although damaged by the criminal acts of photography and entry of un-authorised persons into the Dokhma) is still working and is the only thing which will enable the Ruvan to rise on the dawn of the fourth day after death and begin its flight to Chinvat. Hence the irregular working of the system today is not an excuse to take the law into our own hands. We are aware that a large part of the money we pay as taxes is wasted by corrupt officials and bureaucracy – does that mean that we have a right to stop paying taxes? No. And the same argument works for the Dokhmas. The system is bleeding, but we have to carry on with it till the arrival of the Saviour. In conclusion, therefore, please do not let public campaigns and good looking stars sway our minds. Following the tenets of our religion is more important than any other thing. A hasty step or indiscretion can result in a nightmare for us after death. Thank you for the information, as I too was under the impression that it is the final act of charity that one could do. Can an ailing Zoroastrian Parsi with terminal diseases (heart problems, kidney malfuction, cancer etc. ); should use modern medicine like ( triple bipass surgery of heart, kidney dialysis, cancer surgery and chemotherapy), in order to go on living a longer life? Also is it alright to replace diseaseed organs like kidney, heart etc. What are your views on this subject. I chanced upon your wonderful website which comprises a wealth of information about pristine zoroastrianism. Thanks Ervad Hathiram for sharing your knowledge, wisdom, interalia. Thank you very much for your valuable guidance. May be now I can start thinking fresh and most importantly in correct direction. Is it necessary for a parsi to conduct the ritual of Dokhmanashin compulsary for any part of our body that has been amputed due to some medical resons or lost during any accident?In that case our body is still not complete at the time of our natural death of the body? I read your article on “Can Parsis donate organs or parts of body after death”. Permit me to ask you one question to a point which you have not clarified. Can a Parsi in his life time be a recipient of an organ on grounds of health? Superb article.Ervad saheb has very good knowledge about our religion. due to gangrene caused by diabetes my mother’s leg had to be amputated and we had consigned it to the Doogerwadi. I am happy that we did the right thing after reading your article. I’m sorry, but I have to respectfully disagree. I feel that my journey after death is less important, and certainly less tangible or controllable, than my ability or decision to actually, definitely help someone else by donating an organ. If you are self-minded enough to believe that avoiding the “spiritual harm” of your own soul after death is somehow more crucial than helping the physical, active health of those who are still living, then you are committing the ultimate act against our faith, which preaches good words, good deeds and good thoughts. I despair that a learned, degreed man of our faith–whose earnings as a priest are, ironically, partially dependent upon the charity of other followers–could possibly preach against “taking this step [the act of donating organs/cadavers] out of [a] misplaced sense of charity.” Beyond that, you insult the actions and beliefs of people who donate organs by suggesting that they only do so out of a “misplaced sense of charity:” some do it out of love; others do because, morally, it is the correct thing to do, and I do not believe that these actions are at all misguided. First of all, there is no way that our tenets could actually address the act of organ donation simply due to the ages during which the tenets were written. Because the concept of organ donation simply did not exist back then, it’s an obvious truth that it isn’t directly addressed in our faith. It is alarming that the simple absence of an idea can somehow be translated into a strong advocation against that idea. While the writings do state that maintaining the holistic nature of the physical body is important to our journey after death, there is nothing that suggests that choosing to take another charitable, noble path would compromise that journey. If you choose to interpret it that way, you are taking a significant interpretative leap from the actual teachings, and, in turn, denying many people life-changing help. You write that participating in organ donation “will halt the onward progress of the Ruvan in a very retrograde manner, and put a spoke in the wheels of the ongoing march to Frashokereiti.” In turn I suggest that preachings like these halt the onward progress of our faith; indeed, statements like these–which small-mindedly define our great religion by the letter of the faith, rather than in a way that is spiritually meaningful, relevant, and practicable by Parsis today–are the very reason why our faith, and its practicing population, has dwindled to the point of extinction. I ask you to consider this concept: history has repeatedly proven that if a faith is entirely unwilling to evolve, or to reconsider obsolete fragments of its beliefs, then it will inevitably fade away. For example, the prohibiting of marriage outside the faith may have been relevant 2000 years ago, but today its enforcement requires a very small population to continuously intermarry. Where the initial goal of this practice was to keep bloodlines pure and increase our population of our faith, today this practice does the opposite very effectively, by repeatedly introducing various cancers and genetic disorders to an increasingly weak, meager pool of offspring. In fact, it’s even sadder that a Parsi priest would advocate strongly against organ donation when those same donations would help so many other Parsis who suffer from poor health and disease. I believe that, if the act of augmenting the health–and perhaps saving the life–of one of your own people after your own death is considered by our learned men to “result in a nightmare for us after death,” then perhaps we are placing far too much weight on our journey after death rather than the quality of other people’s lives before death. When did such outlandish, almost criminal selfishness become appropriate behavior for supposedly holy people, and why would you justify it — let alone strongly advocate it — by choosing to misconstrue the writings of our faith in such a way? I am a Parsi and I grew up loving my faith. Today, I am an adult and, while I still love and respect the faith, I worry that the increasingly zealous, overly literal take on our faith will cause its ultimate demise. I mean no offense in this; I simply wish you would consider the repercussions of your above essay from the perspective of the thousands of people — including Parsis — that organ donation could help. And I hope that you don’t just easily dismiss my argument by thinking, “Well, a true Parsi would never accept an organ donation anyway,” because that means you’ve entirely missed the point. I hope you think this over. Thanks for your comments. You have every right to disagree, that is your personal choice. But I would like to correct a few of your statements which, in my opinion, and based on my over 2 decades of rigorous academic and spiritual study of our religion, seem wrong and misplaced. The Zarathushtrian religion places great emphasis on leading a righteous life. The 70-80 years on Earth is one small part of the overall life cycle. However, since our physical mind is incapable of remembering or recalling the other phases of the lifecycle, we obviously tend to believe that the present is the most important (in some ways it is) and the life “well lived” is more important. But the religion also lays great stress on insisting that the life hereafter will be greatly moulded by our thoughts words and deeds in the physical life. Your comment on good thoughts, words and deeds is simplistic, naive and stated without understanding. Please refer to my post http://www.frashogard.com/does-the-zarathushtrian-religion-teach-only-good-thoughts-good-words-good-deeds to really understand what this means. By the way who defines”good”? Is it man-defined? Then it’s useless since man will twist good and bad to suit his convenience. Good and bad is always defined by God, through his Authorized Messengers, and encapsulated in all the Holy Scriptures. But man being the wily creature he is, suddenly decides that “oh, this rule is not applicable in the 21st century and this won’t be applicable 30 years hence!” In this manner, all rules are lost! As I have written above, charity can only be done by giving away something which is your own. You cannot do charity from someone else’s fortune! The body is given to you by Ahura Mazda, and it needs to be returned to him in exactly the same manner as is was. You cannot decide, however noble your aims might be and I appreciate your humanism, to “donate” some part simply because it was only given to you for a limited purpose, and when that purpose is over, it goes back to its maker. Please also let me make it very clear that I do NOT live on charity of others! My earnings comprise of the rightful fees of my own hard work and toil and the difficult life of a practicing priest of which you have no idea or comprehension. The very fact that a “learned degreed man” has written this should perhaps start you thinking that it could not be lightly written? The point is, today’s modern world, with all its attendant ills has veered off the true path of religion and is on its way to self destruction by trying to play God with everything – plants, minerals, animals, and now, humans too! In just 100 years of “scientific progress” and “medical advances” we have raped Mother Earth to the point where the whole scientific community is itself warning that we are going too far. To avoid the guilt factor for all this, monstrosities like organ donation are tried to be explained away as “charity”, humanism and the like. You can treat it that way and there is no one to stop you from going ahead. But the truth of Nature cannot be wished away and everyone has to answer for their thoughts, words and deeds. When we face our maker, only the truths of Nature will hold, not the hollow protestations of truth suited to man’s convenience and comfort. This is my first visit to your website, due to time constraints(today) I have not even browse thro the contents. Sure I must say there is a lot to be understood. Will visit frequently & sumbit comments regularly. Bye for now and regards. Could you at your convinience maybe pen an article on the right way of disposing our dead in places where dokhmenashini is not possible nor is it possible to get the body to a Dokhma. It would be very relevant for the diaspora living in Europe/North America. Although all prayers are conducted by competant Mobeds living here, the disposal choices are burial or cremation. How does that effect the moving forward of the soul? This is the first time that i have come across such a powerful and informative website such as yours. i am very grateful that i have found this today and am largely indebted to you for clearing so many confusions in my mind and my understanding of our religion. It is very sad that we have very little guidance about our religion and hence our unaware about most of the facts and the correct ways to do things. i was always a strong believer in donating organs for which my husband was always averse and i am glad that by reading your article, my thinking and many of my doubts have been cleared. it is an amazing websited and teaches us such little things too that we never would have known. Please continue to put in new articles which will keep educating us and draw us closer to our religion. Ervadji could you also when time permits advice on my one should not get married to a non parsi. i have a son and it is very important that he knows the real reason why one is not allowed to marry outside our commumnity. Organ donations need to be banned. If the foetus is aged more than 4 months, then the same should be taken and consigned to the Tower of Silence after performing the Geh Sarna. The reasons given in gthe main article are on spiritual basis;hence can be contradicted;because not understood. if our body is subjected to a certain electro-magnetic frequency then a violet glow can be seen around our bodywhich is our aura or soul. This is now being studied extensively to diognise ailments in our body or even the internal organs (by Krilian photography)Any ailment is shown up in the photograph and can be treated. Reiki is based on this and the reiki master works to cure this distortation of the aura by his own aura strength. If you take a krilian photo of a person whose hand is amputated the photo will show his hand full,Which means that the Aura is not reflecting the missing part.It takes some time before it does. At the time of death the aura is geting separated from the body starting from the feet and moving up to the head.During this time if the body is disfigured by removing of an organ for donation,The disfigured aura will be ultimately separate from our body.This shold not be so.It will affect the passage of our complete soul furthur;as explained above. Studies being conducten of late is based on using the Krilian photo as a means of diagnosis insted of present methods used. Hence if I want my death to be complete as described abovein the article,why should I leave a part of my aura behind in some other body where it will never connect with the aura of that new body where it is now located?? I wanted to know what happens to a Zorastrian urvan if it undergoes a catarct surgery with latest techniques wherein the defective lens in the eye is replaced with an artificial one? Does this mean that the anasars of our eye lens do not go back and merge with the Urvan upon death (which will happen much later after the surgery)? Does this imply that our Urvan will face misery and one can also be born blind in the next birth? I have been advised to undergo a cataract surgery with lens replacement. Please advice me on what precautions (on spiritual side) I have to take for this to ensure that my Urvan does not suffer after this lifetime. Was just goin thru the posts, learned people like us parsees speaking against blood transfusion, organ transplants, I really dont understand it is ok if in the okder days if our body was torn apart by wild animals, its is ok if our bodies are torn apart and eaten by vultures, it is ok if our naked bodies rot one upon the other in the dokhmas ladies gents one on top of the other,during the monsoon season when there is hardly any sun, if someone takes photographs and exposes the failure of a system whats the harm. Instead of going on the defensive wouldnt it be better for a learned scholar to find better alternatives. Isnt it fair to say that a prayer such as afargan/faroksi which takes more than 45 minutes is done in the shortest possible time dont we all know the shortcuts dasturs use during busy days and muktads. We parsees need to grow up, if we believe in whatever the so called learned scholars of our faith say, we will no longer remain as a community on this planet. Keep Zarthustra and Ahuramazda in mind not so called high priests or religious scholars. No matter whatever religion, it is these high priests and so called scholars who bring disrepute to it. I really dont believe the hypocricy it is ok to receive blood, but to donate could be a problem and ceremonies need to be performed after donating and after receiving blood to fill the coffers of the priests. We shouldnt donate organs, forget ourselves what if our near and dear ones need an organ transplant will you say that in the name of Ahuramazda I will let my near and dear one die. Ofcourse not! Let us stop being hypocrites and move on. You are entitled to your opinion, which is based on lack of knowledge or any study of the scriptures. This blog is for those who are interested in knowing the deeper aspects of our religion. The points you have made are superficial. Please move on, as you have rightly said. Whether Donation of human organ to save the life of relative or any human being is permissible in Islam? Dear Marazban, just a query sir i do agree with your post just only wish to know that can one zoroastrian donate his kidney or eye to another zoroastrian is that permissible as per our religious scriptures. I do know it cant be donated to an outside caste but can it be to another zoroastrian ? Varzavand:Do you believe in Fatwas, then I think you are in the wrong commumity. I do not intend to be obnoxious, but there is just one thing in life that is constant ie (CHANGE). One who does not accept changes, cannot survive. Change does not have to be in character, change has to be in how best we can adopt to the changing times without hurting our conscience. You dont need university degrees as you mentioned. and donating blood/organs and saving someones life is materialistic I never knew? Its not me who is being foolish its you who is being foolish like a book worm who is still stuck to the old transcripts, religion is something that evolves, if you read spiritual books you would know in realization of God, a soul too has to evolve in order to reach him. Here we are stuck with thoughts that were mentioned back god knows how many years before Christ. Just by reading old scriptures and mugging things up like a parrot one does not become a scholar or some one learned. I too believe in Dadar Ahuramazda and our religion, but for me God means kindness, being helpful. There was an article recently in the papers regarding the so called Fatwas mentioned in this blog just a week ago. It clearly stated that muslims were one of the communities that donated the least amount of blood hardly 1% of the community donates blood, but they are readily available when they need blood for their near and dear ones but that too they dont want to replace by giving their blood. What kind of a Fatwa was that dont donae blood, but receive in what ever quantity you want. That means take but dont give…what sense does that make. We need to stop being parrots, by reciting scriptures and paras of the holy books one doesnt become holy. Holy is when you do something to help Gods mission, we all are creations of God, help one and other those he created that would be the best service to him. But if our minds are blocked…God too will not be able to save us. many a times. Your eye sight is gods gift to you, protect it, get your surgery done, there are mostly all of us who may have undergone some surgery or the other in our life times. I had gone for an appendicitis surgery quite a number of years ago, you mean to say in my next life if I am born ie as a human hope so! I will be born without an appendix. God created medicine so that people can be cured of their ailments, not to suffer. Go for your surgery and even then if you think something is a miss do the prayers that Mr Hathiram has asked us to do. Just to keep your mind at peace. You cannot afford to loose your eye sight in this life, just because of the worry that you will be blind in your next life. God is not cruel, he is kind. If you actually are a believer of God, leave it upto him as to what happens in the future, but dont let your eyes get affected in the present that is gods gift to you dont waste it. Yes if you have the will or the courage donate your organs or blood if you can save someones life great. Very factually speaking I donate blood but am averse to donating my eyes, it kind of spooks me tht how will I see after my death…lol. But yes f I can donate a kidney or any part of my body to someone in need my near and dear ones I would be more than happy to do the same. MY MUM AND HER SIBLINGS WERE FORTUNATE TO HAVE PARENTS LIKE ERVAD KHANSAHEB CAVAS MADON AND OSTI BANU CAVAS MADON …..
MUM – TESSY MADON BHARUCHA PASSED ON THE INFO TO US …. NOW I AM GRATEFUL TO HAVE YOU FILL IN THE BLANKS. You have mentioned in your earlier post’s that one needs to return the physical body in the absolute manner to Ahura Mazda after his/her death, can you also explain when you say that dokmenishahi is the best manner in which the vultures are feeding on our corps, how is it that we can accomplish this purpose of returning the body in its absolute form? and in that case how can you perceive organ donation as something that comes in the way or is seen as a hurdle in the process of the soul completing its journey after death, when in reality its only the soul that departs to chinvatpol…rest all goes back to sand and soil. 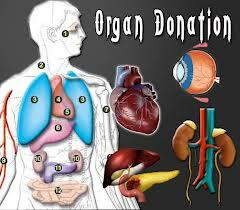 When we feed our bodies its charity but donating organ is seen as a total no no.. how can we be so self-concerned! Dear Marzban I read your article in Jame Today- Here are a few of my opinions- The rituals and tarikats were written in times when it was possible to follow. In those days the environment was clean- think of a time in those days, of a Person having Caratact?- there was no treatement then. Most of our senior citizens have undergone the operation and thrown away the deteriorated natural lens and replaced it with a synthetic one. If a child is born to suffer blindness for a particular Karma and if the suffering is destined to be limited, then a cure will follow also. If there is punishment then there is also mercy, forgiveness and regained happiness. Therefore if a cure is present in the form of body organ transplant- I believe that its forgiveness in the form of transplant. All those who have left their organs as donations, have actually set aside a small life line for those who shall be forgiven in their future and meet these transplant as cure. Do you agree somewhere? Have just come across the above posts. Am absolutely blown away by some of the views expressed against Organ Donation. They seem to me to be extremely primitive, irrational and senseless. I wonder that if the body is to be kept intact as suggested , why even cut ones nails , hair etc ? And I also wonder that since I have read Ervad Hathiram say that one does not have sight because of ones Karma and so it should be borne and not corrected even if a cure is available, does he want to say that we should not wear spectacles also to improve our sight but remain with limited vision or even blind as that is what is ordained for us due to our past karmas ? SO SHOULD WE WEAR SPECTACLES OR NOT IF NEEDED? SHOULD WE HAVE CATARACT SURGERY IF NEEDED ? OR SHOULD WE EMBRACE BLINDNESS AND PUT IT DOWN TO OUR KARMA ? Will someone kindly explain? Please good people, do not thus endanger your precious lives, great men and women like Pierre and Madam Curie have worked tirelessly for the betterment of peoples health, Penicillin has saved countless lives and all over the world scientists are working tirelessly day and night to make great breakthroughs, please understand that God wants us to take care of our bodies and health as best we can. Just do all the good you can , in all the ways you can and as long as you ever can and let God take care of our souls and all the rest.